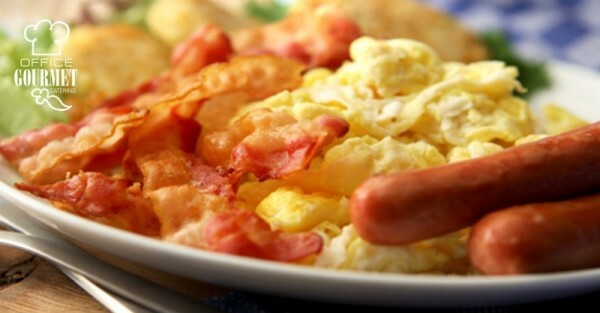 This classic morning breakfast will satisfy any morning hunger. Includes farm-fresh scrambled eggs, crisp bacon, sausage links, hash browns, a seasonal fresh fruit tray, and an assorted pastry platter of muffins, danishes, and croissants, served with natural preserves. Perfect for large groups with a variety of preferences.